Published Sep 17, 2015 by Sams. Part of the LiveLessons series. • Deploy Hyper-V and Virtual Machine Manager in a way that is appropriate for a cloud scale environment. • Learn to build a self-service environment that allows users to deploy virtual machines without IT intervention. 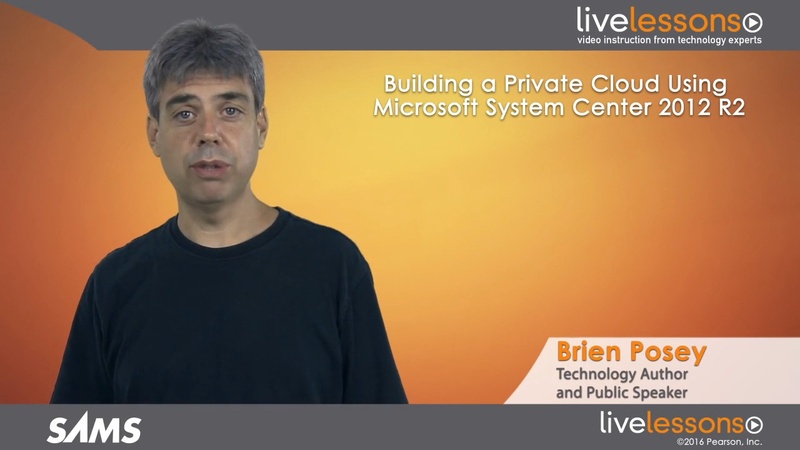 • Learn how to establish permissions and quotas for private cloud users. • Explore critical infrastructure concepts such as storage and networking bandwidth. This lesson discusses some critically important factors you must take into consideration before you begin building a private cloud. This lesson provides an overview of the various architectural components that will be used when creating a private cloud, and how those components fit together. This lesson explains how to prepare various classes of storage for eventual inclusion in your private cloud. Private clouds use a variety of isolated virtual networks. This lesson discusses the virtual network requirements for building a private cloud. This lesson explains how to build a Windows failover cluster that can be used to make tenant virtual machines and infrastructure VMs highly available. In this lesson, you learn how to perform patch management on your Hyper-V hosts without disrupting production workloads. This lesson discusses the Virtual Machine Manager library and how it can be used to automate virtual machine creation. This lesson explains how to actually create a private cloud from the resources that you have configured. You also learn how to create tenants and set permissions. Microsoft Azure Pack provides the interfaces used by both tenants and administrators when accessing the private cloud. This lesson explains how to deploy, access, and use the Azure Pack portals.